Lenox Opal Innocence 10.8 oz. white porcelain Pitcher, $34.96 - 15% promo code FRIDAY = $29.72 with free shipping at Lord & Taylor. 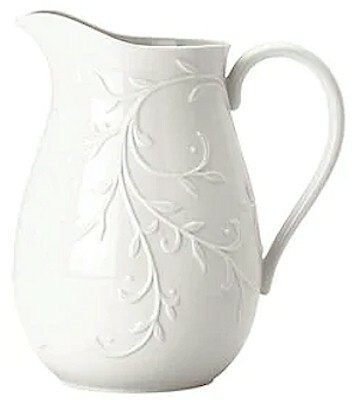 Lenox French Perle white stoneware Medium Pitcher, $34.96 - 15% promo code FRIDAY = $29.72 with free shipping at Lord & Taylor. 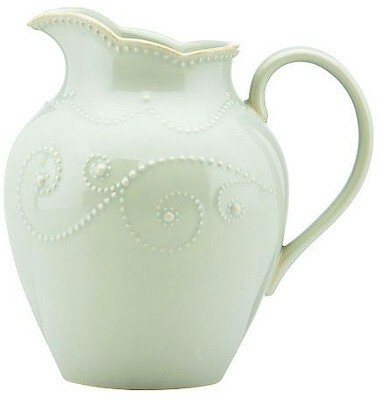 Lenox French Perle Blue stoneware Medium Pitcher, $34.96 - 15% promo code FRIDAY = $29.72 with free shipping at Lord & Taylor.